Steam has silently added a new feature that should make many gamers happy. 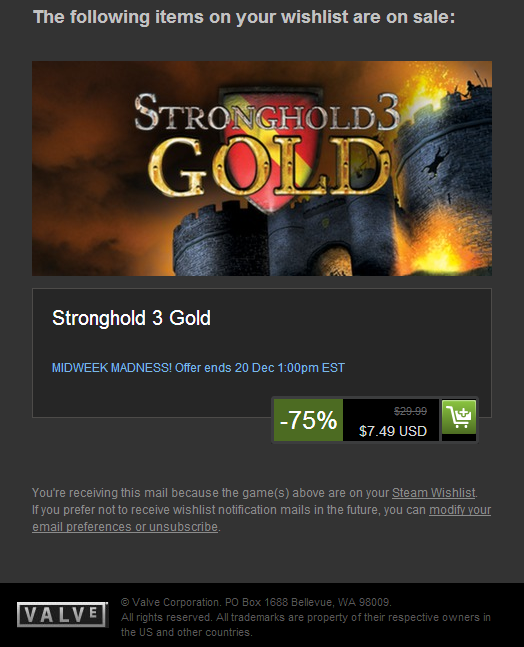 It recently added a new email notification feature that sends users an email whenever games on their wishlists go on sale on the platform. The general consensus – especially among us here at HQ – is that it is actually a long-awaited feature that many gamers were hoping to have on Steam, especially since some Steam sales can have pretty good deals. The new feature is sure to generate greater revenue for the platform, especially when plenty of Steam users already buy games simply because they were on sale. 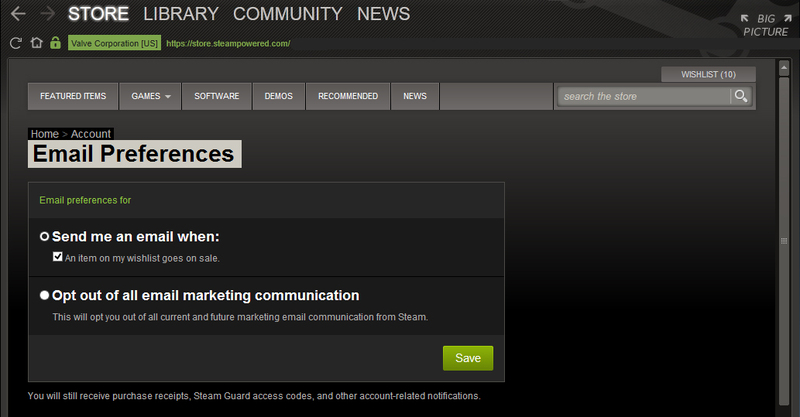 By targeting specific game titles that us users really want, perhaps we can curb the impulse purchases on Steam?